John Adams on "the great anniversary Festival"
I'm traveling this weekend, so it seemed like a good time to discuss a notable journey by a Revolutionary Bostonian: Dr. John Jeffries's balloon trip across the English Channel in 1785. For this feat, and an earlier balloon flight in Nov 1784, Jeffries is sometimes called the first American to fly. Jeffries was an unusual Loyalist since his father, David Jeffries, was a Boston official, town treasurer for many years before and after the Revolution. John himself went to Harvard College, earned an M.A. in 1766, and then traveled to Scotland for a quick medical degree. Back in Boston in 1769, he started to practice under the wing of Dr. James Lloyd, an Anglican who was an old friend of the British general and politician Sir William Howe. During the Boston Massacre trial, Drs. Lloyd and Jeffries both testified for the defense. They said they had heard one of the shooting victims, Irish sailor Patrick Carr, say that the soldiers had held off shooting longer than they would have in Ireland under the same provocation. This sort of hearsay testimony would probably not be allowed in trials today (except under the Bush-Cheney administration rules for special military tribunals). But the words of a dying man carried great weight in the culture of colonial America. In the mid-1800s a story circulated in Boston that just after the Revolutionary War broke out Dr. Joseph Warren paddled a canoe over to the besieged town to meet Dr. Jeffries and try to convince him to join the provincial cause. The implication is that Jeffries was such a good doctor Warren was ready to risk being captured. I don't believe it. The only source on this secret two-man meeting must have been Jeffries himself since Warren had died in 1775. 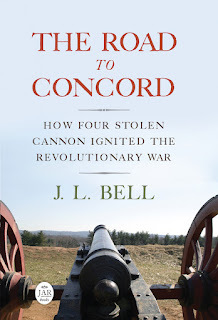 There's no contemporaneous evidence for it; indeed, Paul Revere remembered Warren as trying to discourage Dr. Benjamin Church from going into Boston, as I discussed in this article. When Jeffries returned to Boston after the war, he had to win over patients, and claiming the endorsement of the great, martyred Warren would have been a sharp way to do that. What the record shows about Dr. John Jeffries at the start of the Revolution is that he sent his wife and children to England, left with the British military for Halifax in 1776, and then won a commission as Surgeon-General of the British forces in North America. A couple of years later, wanting a higher and more lucrative position, he set off for England. Tomorrow: in Part 2, Dr. Jeffries goes to London. Dying declarations are still exceptions to hearsay today, and I didn't appreciate the jab at our president and vp. Yes, dying declarations are a form of hearsay evidence admitted under the Federal Rules of Evidence. There was a tradition of that in 1770 that has survived the Sixth Amendment guarantee that defendants be able to confront the witnesses against them. There was some question in 1770 about whether Patrick Carr's statement was a dying declaration, however. According to Jeffries, his mentor Lloyd urged him to ask Carr about the shootings as soon as he started to treat the man. Jeffries probed, he said, and Carr answered that he thought the soldiers fired in self-defense. Jeffries kept asking the same questions, he said, and Carr kept answering the same. After more than a week, Carr died. Months later, Jeffries testified. Did Carr believe he was about to die when he first said that the soldiers had fired in self-defense? At some point Jeffries and Lloyd told him his wound was mortal. Did those doctors, both Loyalists, hope to make Carr an exculpatory witness? Samuel Adams wrote that they did, and made other (largely weak) arguments that the evidence shouldn't have been admitted or credited. The usual example of why dying declarations must be admissible in court involves a dying victim who identifies his or her killer and then is, of course, not available for cross-examination. But that model doesn't apply here since there was no question that the British soldiers fired the musket ball that killed Carr. The Massacre trial is an unusual example of the exception. The soldiers' defense lawyers introduced Jeffries's testimony to make the case for self-defense. Under the rules of the time, they couldn't call the defendants themselves, but they had other, disinterested witnesses who could testify about the violent crowd. They probably chose Jeffries because he could present himself as speaking for Carr, and such testimony was unusually powerful in that culture. As for the Bush-Cheney administration, on the day I posted this blog entry, the news came out (as reported in the link I provided) that its lawyers were continuing to insist on rules for trying alleged terrorists that follow neither standard US criminal law nor the rules of military tribunals. Military lawyers, who had been excluded from the rule-writing process, were objecting. Issues that echo across time are part of what makes history interesting and relevant. The Bush-Cheney administration could avoid criticism about unconstitutional measures by giving more respect to the Constitution. I have two questions. Who did he marry? What were the names of his children? Dr. John Jeffries married Sarah Rhoades in Boston about 1770. She died in London on 19 Jan 1780. They had three children: John, who died shortly after his birth in December 1772; a second John, born 17 Jan 1774 and died 5 Sept 1796 “at Paris, on his way to Russia”; and Ann, born 27 Aug 1775, married Samuel Brown in 1800, and died in 1807. Dr. Jeffries married a second time in London on 8 Sept 1787 to Hannah Hunt, born there 4 Nov 1764. She died 27 Sept 1835 at Boston. Their children were: Harriet Maria, born 3 Dec 1788 and “smothered May 6, 1789”; George Jaffrey, born at Boston on 21 Dec 1789, married a woman from Baltimore in 1814, and died 4 May 1856; Robinson Ardesoif, born 7 Jan 1791 and “burnt to death February 24, 1796”; Edward, born 13 Feb 1792 and died 9 June 1813; Harriet Maria, born 26 Feb 1793 and died 20 Feb 1796; Eyre Massey, born 11 Sept 1794, died in South America 6 July 1826; a third John, born 23 Mar 1796 (before his older brother’s death), graduated from Harvard in 1815, got his M.D. in 1819, practiced in Boston 57 years, and died 16 July 1876; Catherine Matilda, born 23 May 1797, married a Portsmouth man, and died in 1859; Julia Ann, born 15 Nov 1800, married an Eckley in 1820, and died in 1874; and Sarah Augusta, born 21 June 1804, died in 1830. That information is John Temple Lloyd Jeffries’s privately published family history, Jeffries of Massachusetts, 1658-1914.